LaLa Little Lovebird: 'Tis the Season! I love christmas! It is such a fun holiday. 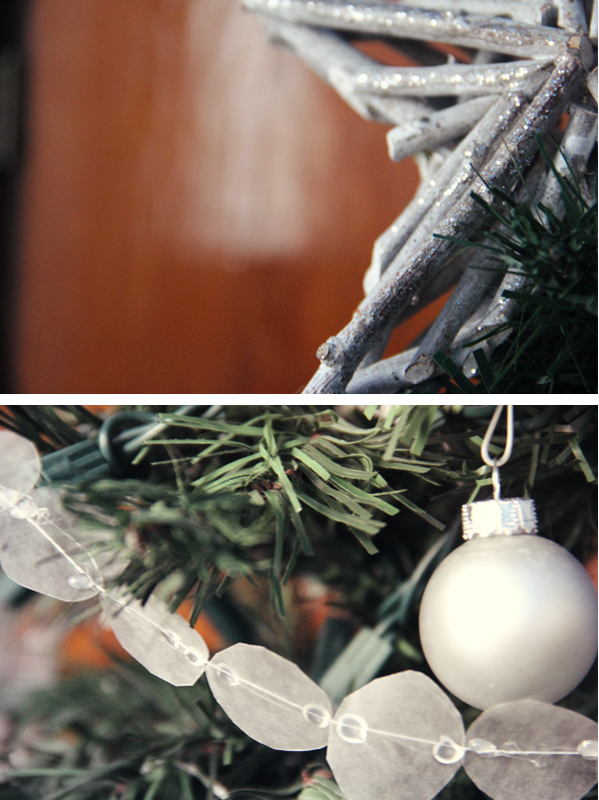 This year I was so excited I got decorations and a tree. To be honest I actually started those snowflakes the weekend after thanksgiving. I've been going nonstop watching christmas movies and listening to christmas music. I can't remember what day it was but I believe it was the saturday after thanksgiving that I went and bought my first tree at the dollar market. (it's artificial but still a decent tree!) To be honest when I had taken it out of the box I was kind of dissappointed it really looked like a Charlie Brown christmas tree. But I bought decorations and whatnot and look at it now! For a twelve dollar tree it came out looking pretty snazzy if I do say so myself. It's only about four feet tall but it's just perfect for my room. 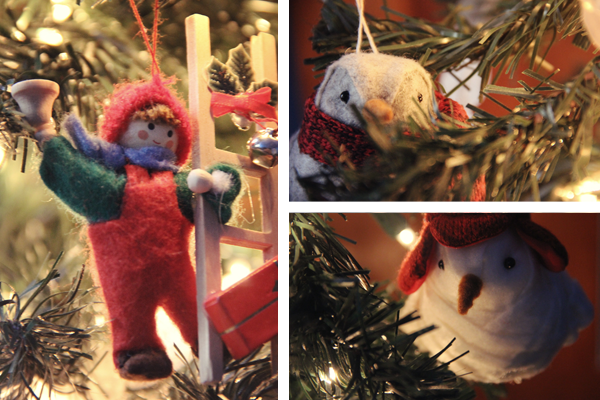 I love my little ornaments too, almost all of them are from target. I also got a little tree skirt from target but I forgot to nab a photo of it. The only ornament that isn't from target is the first one of the little man on the ladder. My mom and I had went to the christmas hospice store in town and I'd picked him up thinking he was adorable. But I didn't really plan on getting him so I put him back down. Little did I know my mom picked up when I walked away only to give it to me later as my first ornament. I really really enjoy the little stripes of glitter on my star, it's just one of those tiny extra details. 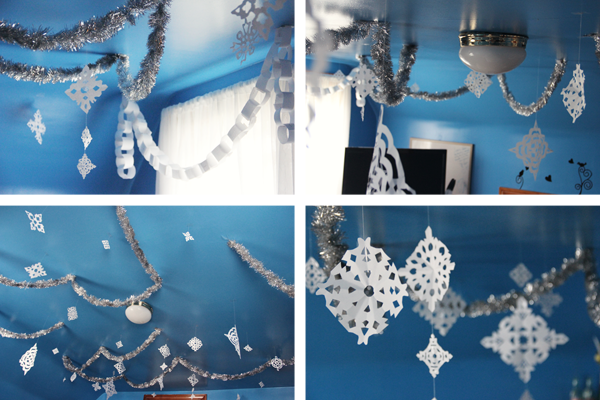 Also if you were curious about my garland it's made out of wax paper thread and hot glue. It's something really simple that looks great. I got the idea from here. Though she had a normal sized tree and a circle punch. I just cut the circle's by hand and whereas she didn't seem to enjoy making it I thought it was fun. It was much longer than I expected to have to make it, but I wouldn't mind doing it again if I had to. Then again like I said my tree is only four feet tall if it had been like eight feet tall I might be singing a different tune. love your tree.... i need to buy me a little tree like that! Thank you! I like it more now than what I initially did. I got it at the dollar general market in town and when I took it out of the box it looked really sad. It took an hour or so of playing around with the branches to get it to look as good as it does. Other than that it really is a great little tree and so cheap! 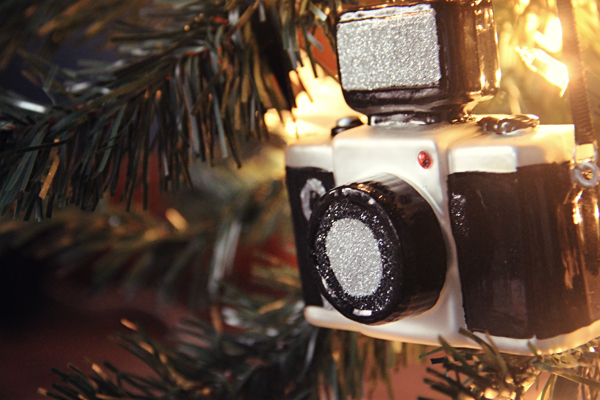 Oh my gosh that camera ornament is so cute. Great tree. Thank you! I'm happy with it. The ornament came from target, I was so happy to find out it was small enough for my tree unlike some of the other decorations I'd wanted. Super cute! I love the camera ornament the most. Happy Holidays! Thank you for the compliment! And no I didn't, dang it those captcha things are annoying. I'll try and get rid of it. Thanks for the heads up! 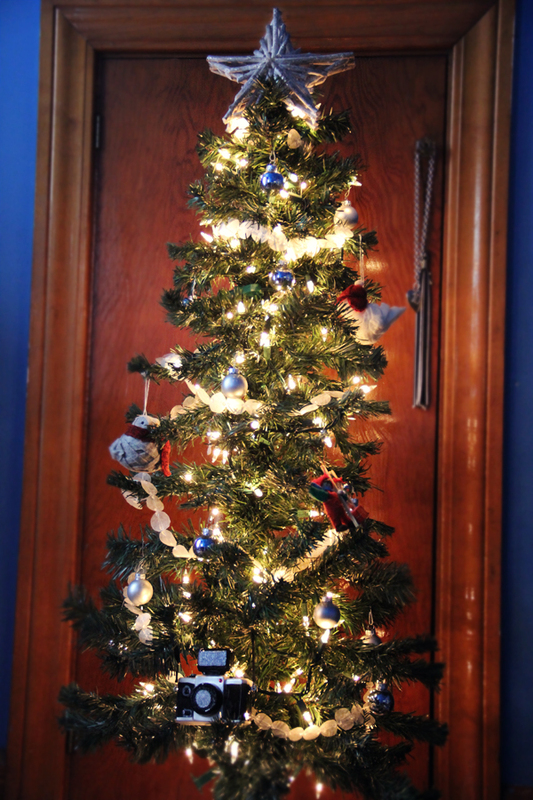 I would love to have a christmas tree too, but unfortunately my student room is way too small for that! It's actually not that big! I could honestly put it on my desk if I wanted. I feel like it's a little too tall for that (mine is four feet tall) but you can get much smaller ones.